If you’re a reader of this blog, then you most likely know where we stand on the whole RAW vs. JPG “debate” (for those of you who don’t know, the answer is: RAW). In previous posts, we have thoroughly explained why we stand where we stand. In this post I thought I would do less talking and more showing and let the photos speak for themselves. 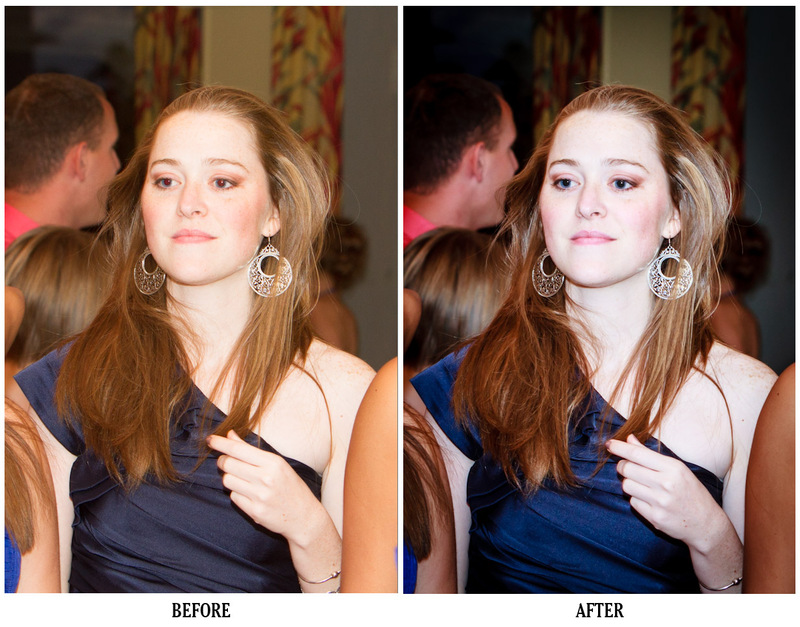 One major benefit of hiring a professional photographer who shoots in RAW is shown in the following example photos. Whether its shooting a wedding, a sports game, or a corporate event, or whatever, if the photographer hands you a disk at the end of the day, they shot in JPG and not RAW. With RAW, they would not be delivering an entire day’s worth of shooting on a disk because shooting RAW calls for processing the image in an image editing software after shooting (Adobe Lightroom and Photoshop are our choices of tools to do this). Generally for every hour that is shot, it takes about 1 1/2 – 2 1/2 hours of post-shooting processing. Shooting in RAW is about quality, and making the images the best they can possibly be. The “Before” image is what the clients would have gotten had we shot JPG and delivered the images at the end of the night. Not very pretty with the broken fence, lackluster sky, and people in the background. 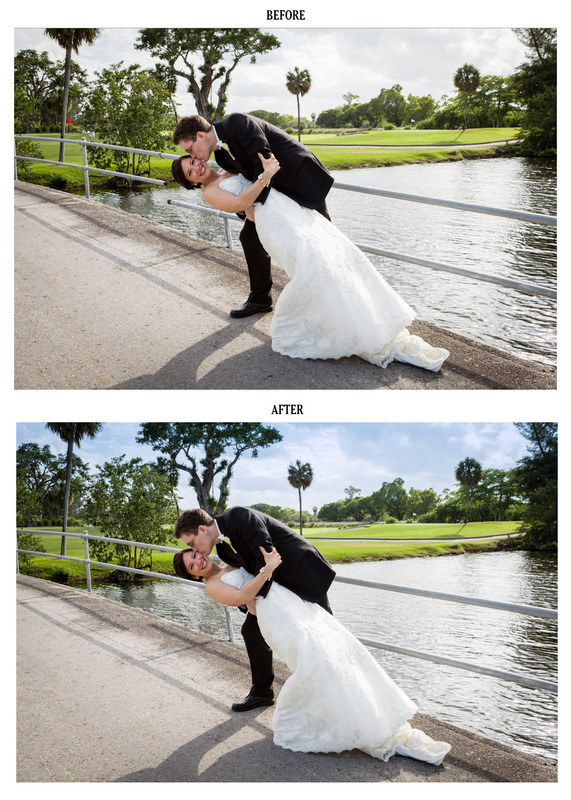 Thanks to shooting in RAW, we were able to edit all those things out. The image on the left is technically correct, the exposure is fine, the color balance is okay. However, the subject had red eye. I could have just removed the red eye, but we did some additional editing, added a vignette, upped the color vibrancy, tweaked the color temperature and resulting in a much more dramatic image! This is what you get when you hire a professional photographer who shoots in RAW: 100% quality control and the best images possible for you. This entry was posted in Clients, Creative editing, Digital editing, Digital Photography, Lightroom, Photography technics, Photoshop, RAW vs. JPG and tagged photo skills, photo techniques, photography, photoshop, qualities of professional photographers, RAW. Bookmark the permalink.